Hair straightening is very common in fashion these days. All young girls and boys are going after it without even knowing the damages that are caused by the heat and chemicals. If some precaution is taken, you can reduce the damages. Read more to know what the side effects of hair straightening are and how you can prevent it. 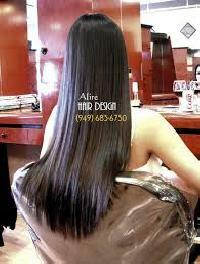 Hair straightening is a part of fashion and hair styling these days. 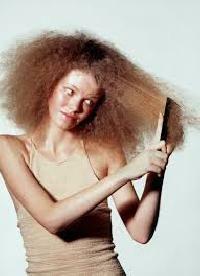 However, it is also true that hair is susceptible to chemicals and heat, which is applied to straighten frizzy hair. 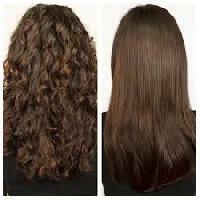 It happens that straightening of hair does more damage than benefit to your hair. So, you should be aware of the potential damage that hair straightening does to you. The actual effect of the chemicals and the dryers is that they make the hair dry and that makes it brittle. The hair can get extremely damaged and in some cases they get burnt also. The negative effects that occur are relatively much higher than the other styling done to your hair. If you are choosing hair straightening process done at home, select the dryer or the straightener that is based on ionic systems. The main reason is that their heating surface is non sticky and causes less damage to the hair. Use the dryer and straightener occasionally and sparingly. Make sure your hair is conditioned, dry and you should also coat it with heat protective product before you use a straightening iron. Make certain that the iron is not too hot and apply it to hair in small portions. It is better to move the iron gently down the hair and then leave it slowly. If the outcome is below your satisfaction level, you can follow the process all over again. But never ever stop the iron on any part of the hair. Remember, if the damage is done to the cuticle, it is irreversible. You will not be able to do anything after that. So, it is always better to take precautions when you use styling products or go through treating your hair in a different way. Do not use the iron when your hair is wet. Before you use the hair straightening iron, make sure you test the heat so that you get assured that it is perfect for your hair. When you straighten your hair at home the results are not like what you get in a salon. It is rarely sleek and smooth. 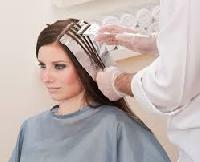 Over processing may cause damage to the hair and under processing will not give you proper results. You will have to choose the right combination well. The thinning of the hair causes breakage and uses a deep conditioner when you shower your hair. This will prevent hair damage to some extent. 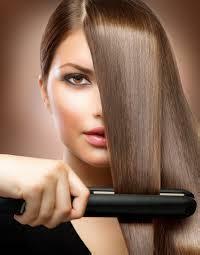 You can have that silky straight hair and minimize the damage if you use the chemical and the iron it less frequently. To give your hair a break, try other styling ways. Use hair repair cream along with the hair conditioner at least once in a month. If you follow these precautionary methods, you will be able to get the hair you like and that too not at the cost of your crowning glory. It is not certain that a hair straightener will cause damage to your hair, in any case it will make your hair brittle. The main damaging products are the chemicals and the heat applied to the hair. If you want to get your hair straighten, you should approach a good salon that has experience and expertise performing this process. Do you know what the side effects of hair straightening are? Are you aware what damage is done to your hair by the process of hair straightening? Do you want to know how to prevent damages by hair straightening? To share your experiences, views, and tips, click here. For the highest protection against heat damage, use an oil based product. It will form a truly protective barrier on the surface of your hair without creating an even hotter and potentially damaging environment. Apply a small amount of styling oil to each section as you go along, as opposed to applying a lot of product to your entire head. This will ensure that every strand is protected. 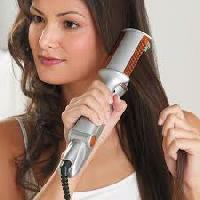 You should also be certain that your hair is completely dry before you use any heated styling tools. Apply a small amount of styling oil to each section as you go along, as opposed to applying a lot of product to your entire head. This will ensure that every strand is protected.